Bell's V-280 Valor tiltrotor achieved 280 ktas in forward flight on Wednesday at the company's Arlington, Texas Flight Research Center. Other milestones achieved by the V-280 during its first 13 months of in-air testing include 85 flight hours and 180 rotor turn hours, in-flight transitions between cruise mode and vertical takeoff and landing, 45-degree banked turns at 200 knots indicated airspeed, 4,500 feet-per-minute rate of climb sustained at an altitude of 11,500 feet, a single ferry flight of 370 miles, and demonstrated low- and high-speed agility with fly-by-wire controls. The V-280 is Bell’s entry in the Army’s Joint Multi-Role Technology Demonstrator Program (JMR-TD), part of its plan to develop a new generation of FVL aircraft to be fielded as early as 2030. 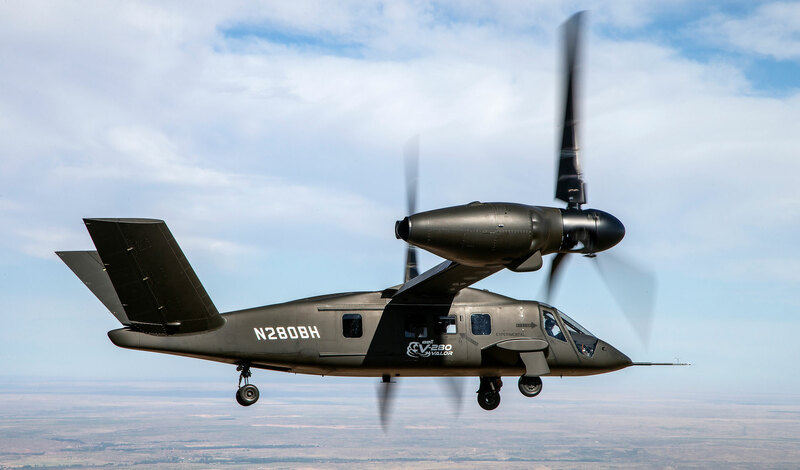 During the remainder of the year, Bell plans to expand the V-280’s flight performance envelope highlighting low-speed agility maneuvers, angles of bank, and autonomous flight. Great job Bell ! I hope the Army will appreciate your efforts.